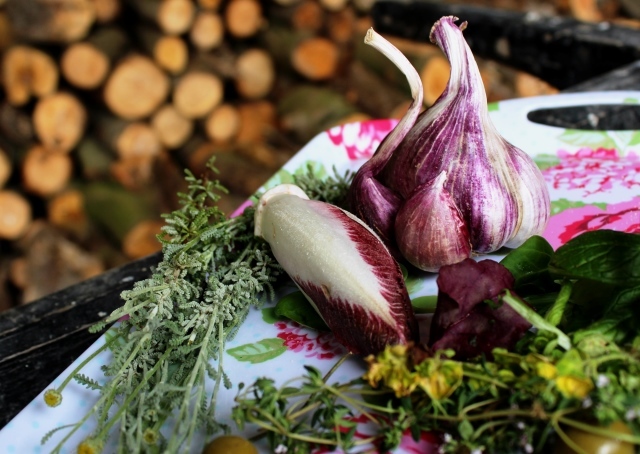 On your travels around your home country and further afield you no doubt come across a lot of delicious local food. Perhaps you take photos of the dishes you eat, the wine you drink and the produce displayed in shops and markets. 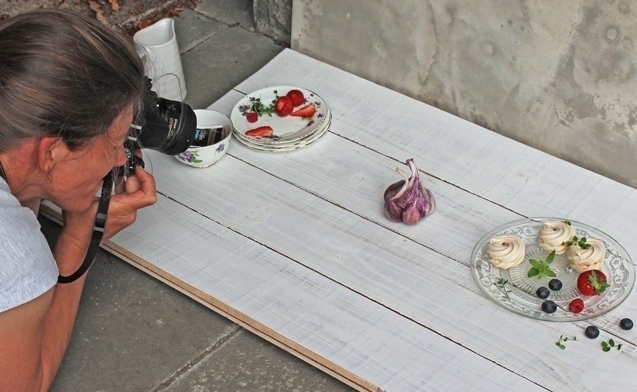 Would you like to take better photos of that food and drink? That’s what I wanted to do when I enrolled on Aspire Photography Training: Food Portraits workshop. 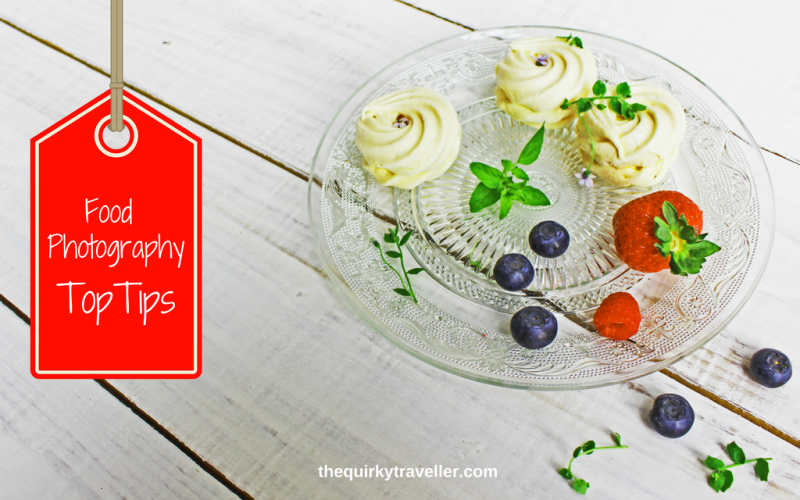 I’ll share with you some of the food photography tips I learnt on that useful and inspiring day. Our group of photographers ranged from professional to amateur, all with a desire to learn more and practise with expert tuition. 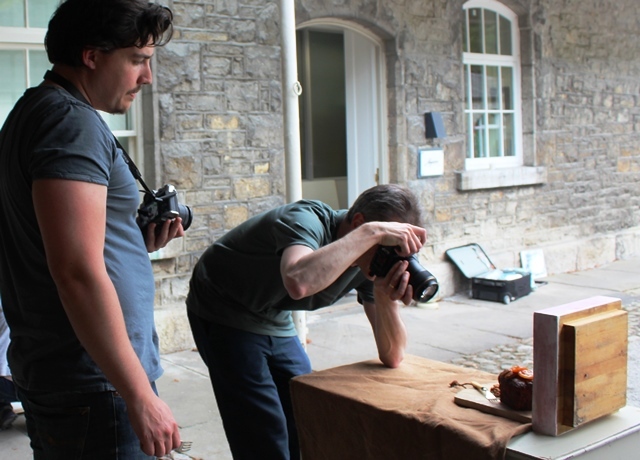 Tutor, food photographer and writer Joan Ransley, took us through the basics of good food photography and showed us some of her superb photos. She then went on to explain clearly and simply how to use a digital SLR camera for close-up food shots. 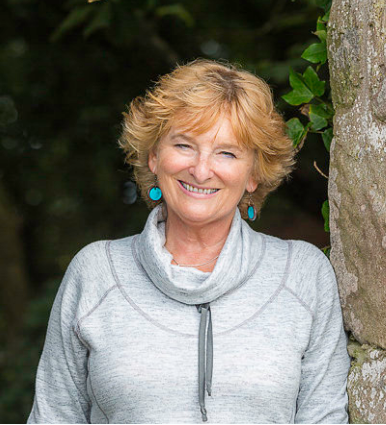 I had never been able to get my head round F stops and aperture settings but Joan explained it so simply that even I could understand, at least for the duration of the course! She’s a really good teacher and very encouraging. She talked about using a smart phone camera, which as a travel blogger is something I do very often. As she said, anyone can take a good photo with a phone camera if you have an eye for a scene and follow some basic principles. After lunch we had to choose from a wide selection of fresh food including salad ingredients, bread, cake, fruit and accessories on which to display it all. 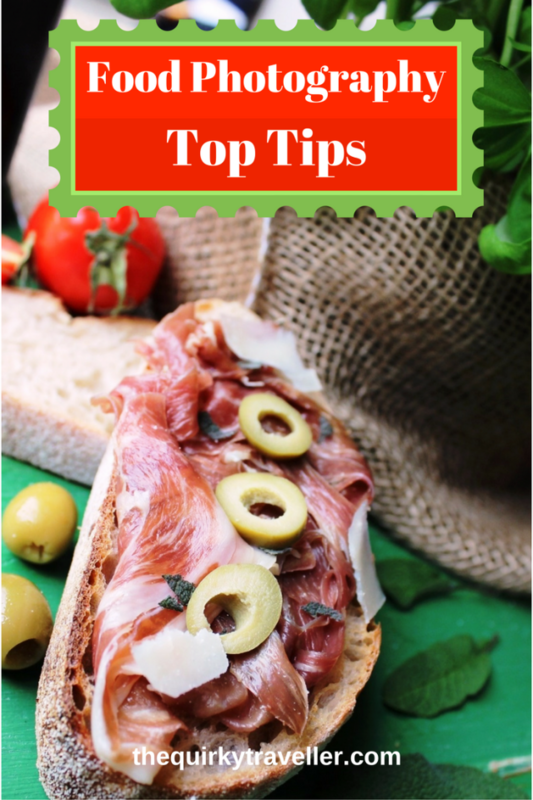 I chose some delicious sourdough bread, olives and olive oil, pecorino cheese, Parma ham, tomatoes and salad leaves. We went outside to set up our photo shoot, with Joan and Aspire owner Catherine Connor, who both gave advice on how create a memorable photo. 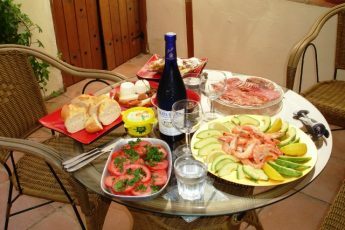 The following tips are especially suitable if you’re on holiday, travelling or out for a meal; in other words, short of time and needing to take a picture fairly quickly, without special lighting or studio conditions. 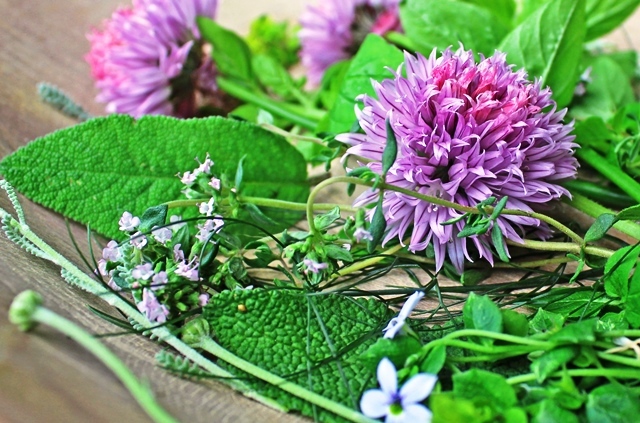 Joan says, “One of the most important things you need to do when taking photos of food, is ‘create a desire to eat’. Eating is a sensual experience, so a food photographer aims to add vibrancy, enticement and increase our emotional response.” If you keep that in mind, your food photography will come alive and set the taste buds tingling. We experimented with positioning of ingredients (all fresh and delicious) and ‘props’, light sources, including use of reflectors and different angles. Joan told us some insider tricks, including use of oil-dropper/spray to add sheen, avoiding steam from hot food, leading lines and a lot more. Well, maybe not EVERY picture, but many do and when you’re composing your shot think about what you want your viewer to ‘read’ into the photo. This scene-setting shot shows all the ingredients I was to use in the main photo shoot. 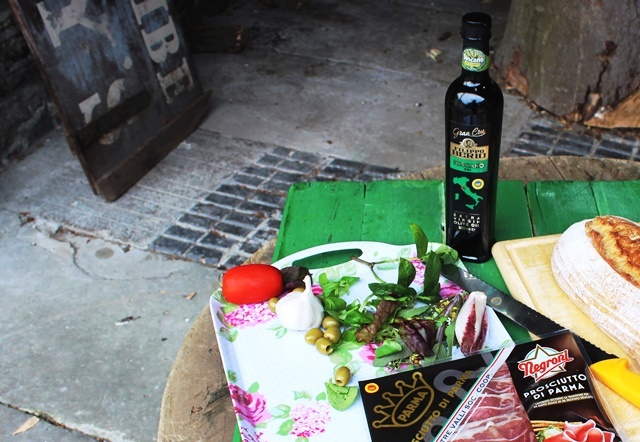 The aim was to showcase an Italian lunch so the bottle of olive oil and ham were the keys to setting the scene. In the background is part of a sign for Morecambe, near to where I live, so it has a personal resonance. Natural light is much more flattering to food photography. Pick a table or seat by a window, a park bench or wall where you can arrange your food and not have to rely on a flash. That distorts colour, distracts other people around you and generally makes your food look unappetizing. Joan also showed us different types of Reflectors, including a very handy portable one. When setting up their foodie shot, the guys in the photo above made sure there was a lot of light coming in from left, to compensate for shade on the right. Joan says: “Depth of field is controlled by the aperture of your camera lens; the larger the aperture ie f2.8 the narrower the depth of field. The smaller the aperture i.e. f8 the greater the depth of field. In food photography we usually use an aperture of around f3.5 when we’re photographing a plate of food close up. This will ensure the subject is in focus i.e. a piece of fish or a slice of cake and anything in the background looks soft and dreamy. For overhead shots when we need everything in the scene to be in focus, an aperture of around f8 is best. If you can control the aperture on your lens it will improve your photographs at a stroke.” I focused on the fruit and walnuts on this tasty Damson Brandy Fruitcake (made by Ginger Bakers in case you tempted!) to draw your eye to their glossy sheen. 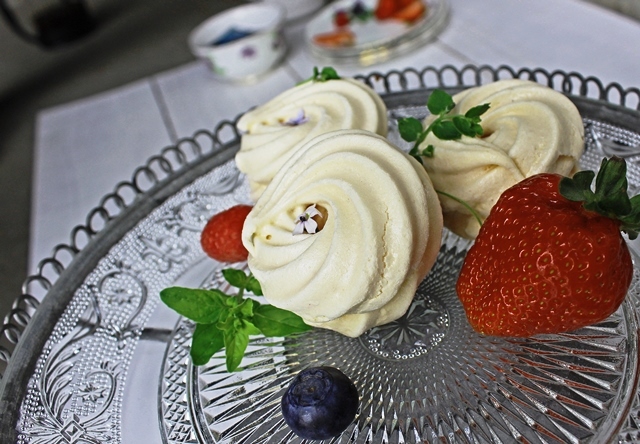 We love to see details of the food or drink ie the bubbles in a glass of prosecco or the icing on the cake and getting in close to the subject helps tempt the taste buds. Fill the frame or just have a little of the surrounding area in shot. 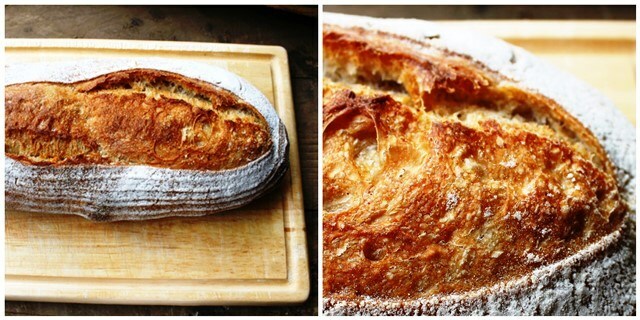 In the first photo, I shot the sourdough bread (from Lovingly Artisan) from above, which simply shows it on the board. In the second I went in much closer and tried to capture the dusting of flour and the bread’s gorgeous texture. As you may have seen in this article on Top Travel Photography Tips, our eyes are drawn to certain parts of a picture; the rule of thirds helps you to capitalize on this. 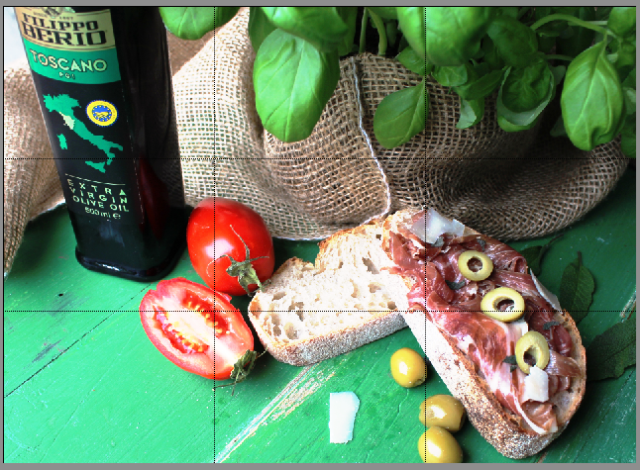 Imagine your photo is overlaid with a grid of lines in thirds both horizontally and vertically. Where the lines intersect is the ‘point of interest’. If you position the main elements of your photo on or near those points, the viewer is more likely to focus on them. In this photo, the ham and bread were the key elements. Joan added the THREE olives, the olive slices and three sage leaves to increase the threesomeness. Even if you’re taking a quick pic of lunch, spend a few seconds to look through the lens/viewfinder and see if there’s anything you could remove that might distract the viewer ie phone, dirty knife etc. Maybe you could add something. I often include a menu, guide book, or some reference to the place where I’m taking the picture. Catherine had a vast array of vintage and contemporary plates, cutlery, pots and glasses plus trays, scarves, material, edible flowers and other things for us to experiment with during our photo shoot. Joan told us of a street food photographer who uses park benches and other outdoor furniture to set up his shots. She also shared the secret of crummage; artistically scattered crumbs or other bits of food – see the Fruit Cake photo in Tip 4). Be creative; a few seconds can make the difference between a good photo and a stunning one. All the photos here were taken by me during the Aspire Food Portraits day. Many thanks to Joan Ransley and Catherine Connor for all the tips and tricks; I enjoyed every minute. Lara Ferroni‘s excellent book Food Photography: Pro-Secrets for Styling, Lighting and Shooting has lots more professional advice. Great article – thanks for sharing your tips ???? the thing I always find is that I can never quite get the right angle to only get food in the image. There is always a stray piece of cutlery, or the edge of a glass… Perhaps I need to work on making these more of a feature and setting more of a scene. You’re welcome Nicola. I know what you mean about getting a clear shot at the table. It is worth spending a little while to get as ‘clean a shot as possible. But getting in close and focusing on the object (see Depth of Field) should help to blur out unwanted objects in the background. Great post. Would love to do this course. I’ve just ordered some portable reflectors to take to aruba with me next month. It’s a food themed press trip so I’ll be putting your tips into practice. Great article and advice. I will be taking notice of some your tips. Thanks so much Kathryn. You’re already a really good food photographer 🙂 Aspire Photography Training has courses for all levels – always very high quality. You are going to LOVE Aruba! 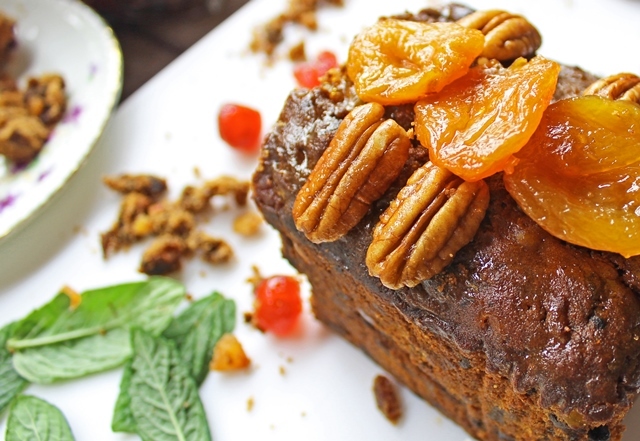 Lisa, it was a pleasure to photograph your gorgeous Damson Brandy fruit cake – but an even greater treat to eat it!